This southern link up was dope to say the least as Jeezy, Yo Gotti and Ludacris teamed up for DJ Infamous' "Run The Check Up". The track, which is producted by Childish Major, brings on lots of money talk as well as heavy bragging from the rappers. Jeezy opened the track with lots of stunting, and he also does the hook where he raps, "Want that paper, need that paper, husltin in my veins, I just bleed that paper". Ludacris followed up with his verse about how many can solve most problems and speaks about the baddest bishes residing in his hometown Atlanta. Gotti closed out the song with some fed and drug talk, as well as some old and new money references. Overall the collaboration was was decent but I will let you decide. 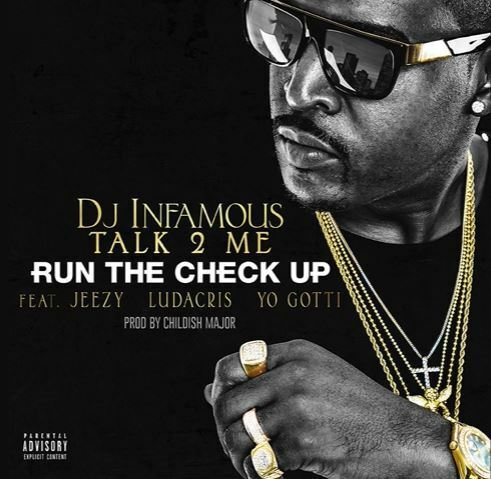 Listen to the track below and you can also catch the song on DJ Infamous' Talk 2 Me.